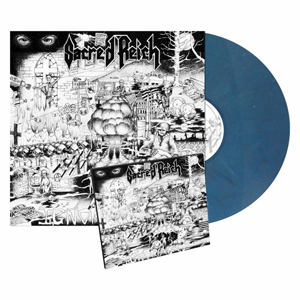 For the first time ever with the original artwork, SACRED REICH's classic Ignorance album is available as a special 30th Anniversary LP and digipak CD re-issue via Metal Blade Records! The digipak CD features bonus tracks; the vinyl has received the "MB Originals" treatment, which means 400g heavy cardboard spine sleeves (inside out print), 60x60cm two-sided artwork posters and 250g inserts. The album has also been remastered by Patrick W. Engel. To further celebrate this milestone, SACRED REICH is bringing their "30 Years Of Ignorance" tour to the USA this month, featuring BYZANTINE as support. See below for all dates!